The developers of Whatsapp often release new updates from time to time. This time, they have come up with a simple yet useful feature that will soon allow all Android users to seamlessly switch between a voice call and a video call. The app which is now being used by more than a billion people is owned by Facebook. Even though, the iOS and Android version of the app has received significant upgrades throughout the years, there is still so much left to be improved in the app. In order to better focus on its development and usability, the team has stopped releasing updates on Windows phones, Blackberry and old Nokia phones as they are no longer supported by their original manufacturers. Android gets the best treatment from Whatsapp developers because the open source platform is convenient to experiment with lots of new features. Besides, many of them are often released as beta so as to fix the bugs before an official release is made possible. The latest of the lot is the introduction of a new video button. Every time you make a voice call using Whatsapp, the video camera button will appear on the bottom of the screen. An official screenshot has been posted online to give you an idea of how it looks in the beta channel. 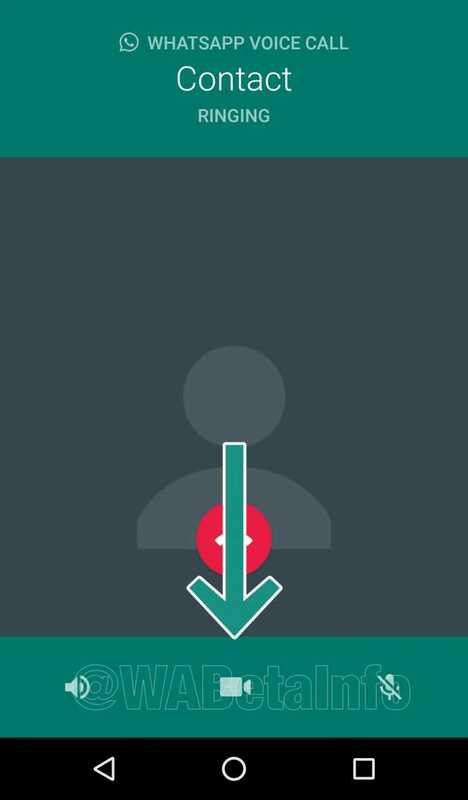 When you click on the button, the recipient on the other side will receive a message requesting whether they like to switch from the voice call to a video call. The transition will be extremely seamless and it is no longer required to disconnect the call so as to switch to another form of communication. 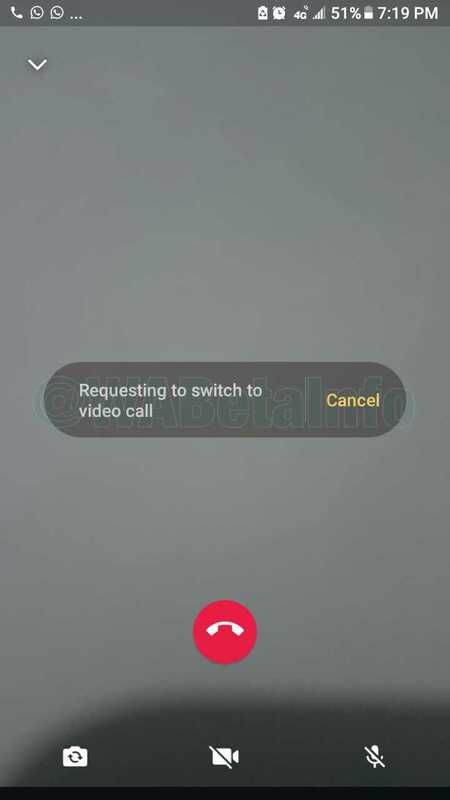 To maximize privacy in this feature, the developers have ensured that just because you click on the button will not immediately activate the video call. The person on the other side will receive a notification and they can choose to accept or reject the request. After all, there are times when a voice call may be initiated between two strangers or people who are talking for the first time for a purpose. It is not a great way to instantly switch to video when you choose to. If the person on the other end chooses to ignore your invitation, it will continue as a voice call. Whatsapp for Android is 2.18.1 in its beta channel and the ability to switch between calls will only work if both handsets have camera capability. It doesn’t work on group calls either.